The Grecian Sands hotel in Cyprus has a fantastic location as it only 30 minutes drive from the airport and only 10 minutes walk from Ayia Napa. The hotel overlooks a beautiful beach and is set within its own tropical gardens which create a luxurious setting. 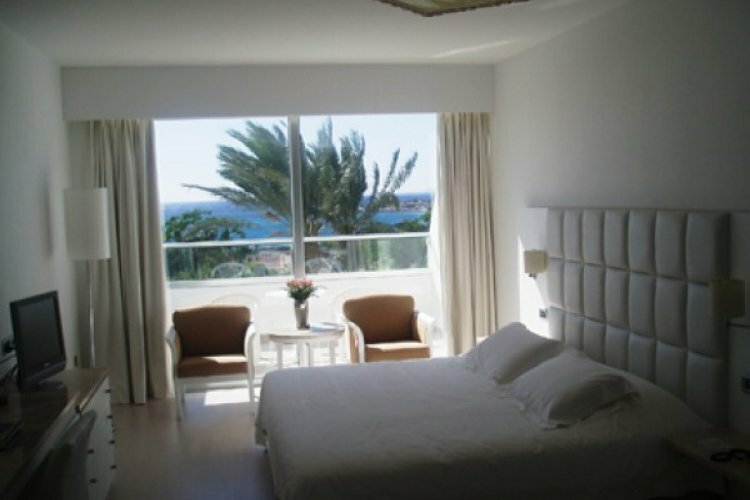 The hotel has a range of rooms, studios, executive studios and suites all of which enjoy fantastic views of the sea, pool or gardens. Rooms are light, simply decorated and well equipped. All rooms provide air conditioning for your comfort, a private bathroom, bath or shower. The hotel offers three restaurants ensuring you plenty of choice when dining. There are also two bars where you can enjoy fresh juices and cocktails. Enjoy a selection of al a carte menus, buffet breakfasts and light dining. If you enjoy tennis then take advantage of the hotel's two floodlit tennis courts and work up an appetite in the cooler evening. Treat yourself to some spa indulgence at the Grecian Sands Spa & Wellness Centre where you can have all your stresses soothed away. Detox your skin at the beautician or visit the hair studio. The health club offers a range of fitness, aerobic and health programs from fitness experts who can help you work on the areas you want to improve. wedding venue not as expected as pictures lots of decor and when actually there quite bare without paying the extra.